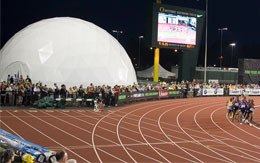 Sports Domes will enhance any sporting event. 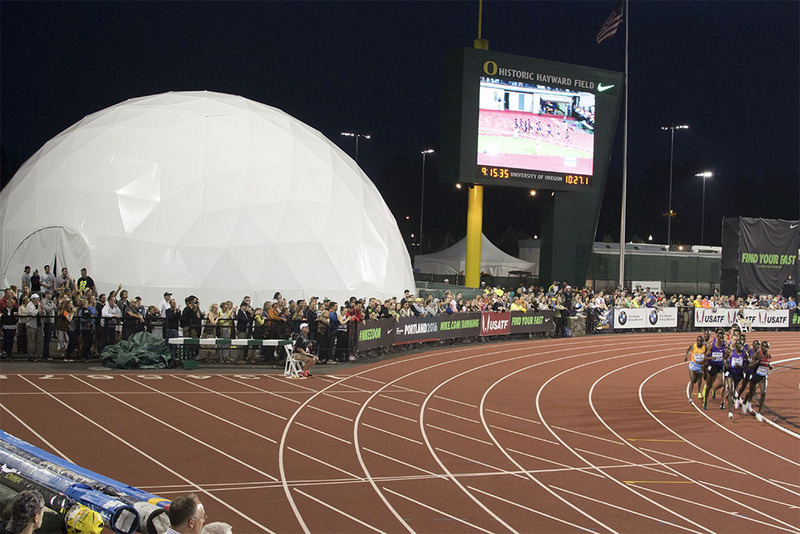 Sports domes are superb because they offer something for both the spectator and event holder. 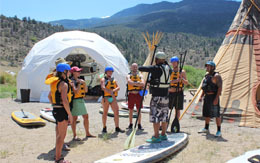 The portability and durability from cold weather makes the dome an instant ski resort. 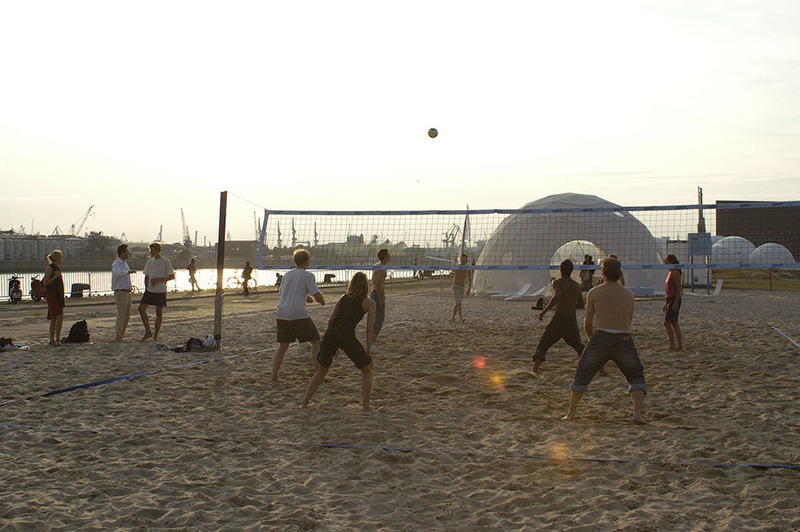 During warmer seasons, the dome provides relief from the often unforgiving sun, and gives the vendors an opportunity to engage with their audience. 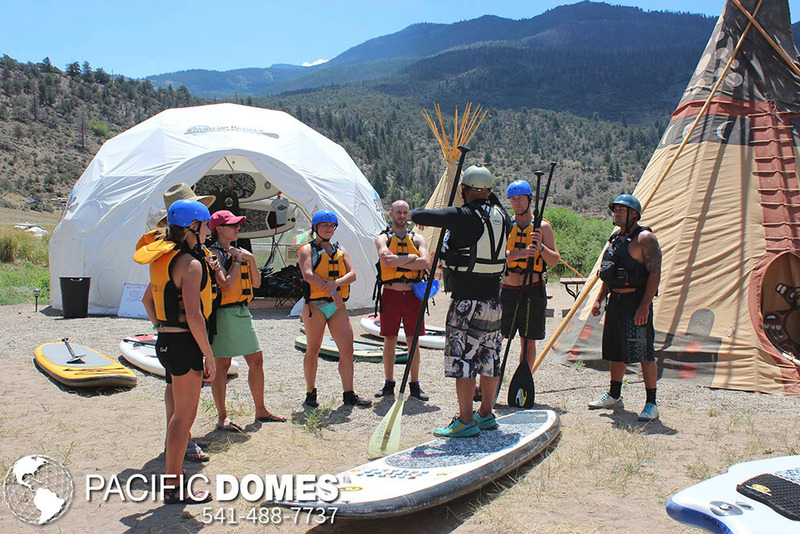 Looming over Mammoth Mountain Ski Resort like a colossal spaceship, the geo-engineered Prizm™ Performance Lab dome headquarters, welcomed participants to the Oakley Prizm Games for a thrilling summertime adventure. 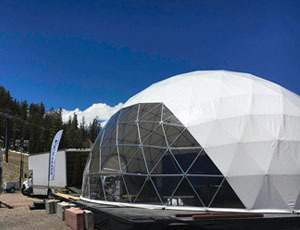 The imposing geodome event tent served as the control center, setting off six different team sport competitions to test PRIZM™ lenses and challenge participants. T-Mobile, Inc. partnered with the NBA once again to make All-Star 2011 a fantastic event in Los Angeles at the Los Angeles Convention Center. 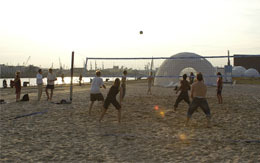 They sponsored various activities one of which was the 2011 NBA All-Star Jam Session. 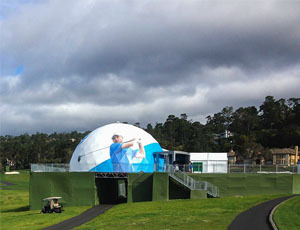 It ran Feb. 17-21 and showcased an innovative Pacific Dome’s dome with a Chicago Bull image on it. This time of year, golf tournaments and outdoor sporting events are in full swing! High on the list of event planning priorities is the importance of providing heavy-duty, luxurious outdoor shelters for VIPs and corporate guests. 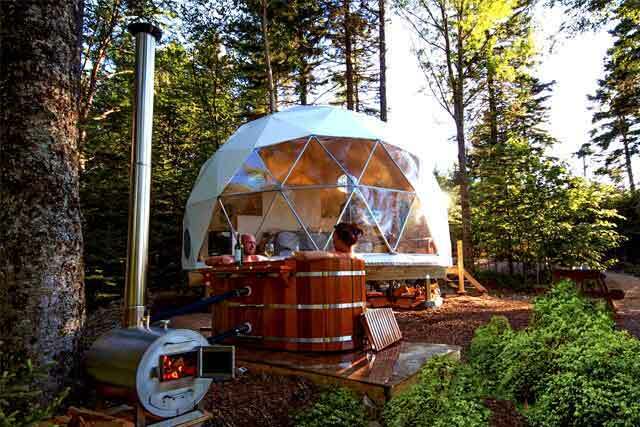 It doesn’t get any better than the geodesic domes from Pacific Domes of Southern Oregon. You can host corporate events and sponsored golf tournaments with style and substance. Your guests will appreciate these safe outdoor tent shelters when bad weather threatens to spoil an otherwise spectacular golf tournament.